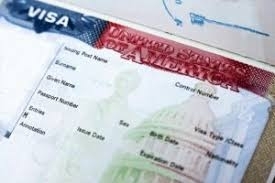 Amid India-Pakistan tensions, the United States has slashed visa duration for Pakistani nationals has been reduced to 3 months from 5 years, said a spokesman of the US Embassy in Pakistan. In an official notification issued by the American embassy here on Tuesday, the US said that an additional fee will also be charged for H (Temporary Work Visa), I (Journalist and Media Visa), L (Intercompany Transfer Visa), and R (Religious Worker Visa) visas. The government has also increased visa application fees for Pakistan citizen to $192 from $160. This came in the wake of the terror attack in Jammu and Kashmir's Pulwama district on February 14, which claimed the lives of 40 CRPF personnel, the responsibility of which was claimed by Pakistan-based Jaish-e-Mohammad.